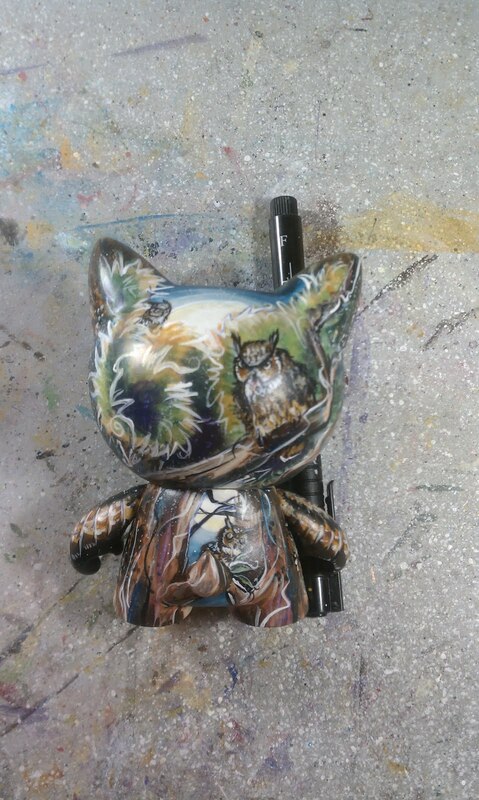 Sara Richard's Blog: Vinyl Toy Custom! I wanted to have some custom vinyl toys ready for NYCC, so here is the first. 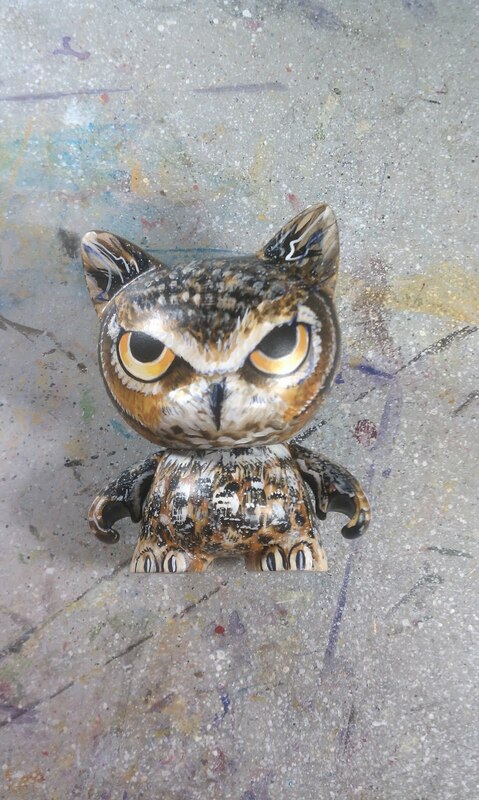 Painted on a blank "Trikky" by KidRobot! I loves me some owls! Awesome, but ya know I love anything bird related you do.